Though some of the references in the following article are dated, it is striking how many themes identified by German theologian Dorothe Soelle remain prescient forty years later. 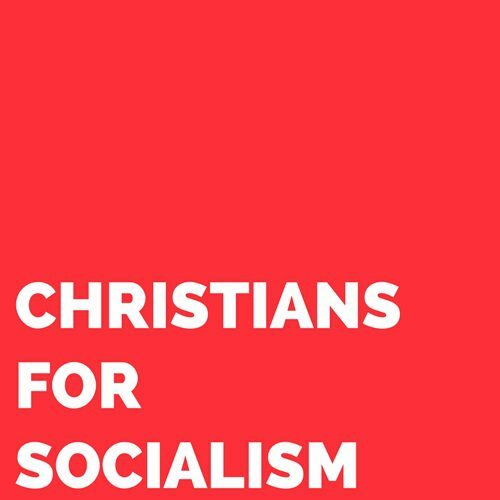 Soelle’s thoughts on Christians for Socialism present a perspective from the inside, informed by on-the-ground experience and contact with people in the movement around the world. She offers a window into what Christians for Socialism looked like in the late 70s, the conversations that were happening within and around it, the problems it was trying to name, and the hopes it was trying to organize. Though new issues and movements have come on the scene in our own times, the systemic problems and the need for a united front that Soelle articulates are still with us. Moreover, Soelle’s attempt to relate Christians for Socialism to other radical Christians, like the Catholic Worker or activists like the Berrigans, is a helpful move as we think through how to unite the diffused energies of Christian leftists in the United States and Canada. One of the most useful things in the essay is Soelle’s exploration of what if feels like to be a Christian on the left–sometimes lonely, sometimes inspired, sometimes exhausted, sometimes energized. The work of Christian socialists is difficult, because our Christianity can alienate us from other socialists while our socialism can alienate us from our siblings in the faith. And yet, groups like Christians for Socialism provide a space to connect with others on the same wavelength, not only in political projects but also spiritually and existentially. Put simply, in this challenging course, we need each other. Hearing again the words of Dorothe Soelle, we reaffirm the need for “a united front of Christian leftists,” and that a “theology of liberation does not exclude a theology of resistance.” This resistance is not the meager performance politics found among the Democrats or the Liberals, who substitute a good brand for good politics. It is, rather, a courage to say “NO” to injustice, and, coupled with a theology of liberation, a courage to say “YES” to a better society that makes room for all people. For those who do not yet know Dorothee Soelle, these few pages will introduce her with all the insight and compassion evident in her personal company and in her public theological-political work. These meetings in the form of political worship services would focus on a situation of immediate political or social interest. After detailed description and analysis of the situation, there followed a scripture reading and brief address, prayer, and discussion, always probing “What can we do?” The group has probably elicited more dununcation than praise from the public and the established church but its influence spread and similar groups developed in at least 12 cities in Germany and Switzerland. Dorothee is a friend of Christians for Socialism wherever they exist. When here in the U.S., teaching at Union Theological Seminary in New York, she sojourns in the company of CFS in the U.S., strengthening us and our efforts to make visible an alternative political commitment. Let’s once more ask how to sing the Lord’s song in the strange land of capitalism. The movement of Christians who have made the decision for socialism is an attempt to sing the song in the midst of a struggle that is often veiled and stays unclear. Our voices are often too low, and there are only too few of us. Yet isn’t it a hopeful sign of the times that there is a leftist Christian movement at all? Since the editors of this issue [of Radical Religion*] have asked me for some personal reflection, I’d like to affirm my gratitude for becoming more deeply rooted in faith with the help of the movement. If all there had been in my lifetime were “Christians for Capitalism,” I might have quit the church. To become a Christian who seeks to spell out the option for socialism as a consequence of the trust in possible change which we usually call GOD is a spiritual experience. The possibilities of faith in our time are not exhausted. Liberal enlightened Christians like myself, coming from a theology of demythologization, often feel how irrelevant faith systems can be to real-life decisions and events. For me, growing into socialism has meant losing this sense of irrelevancy. Becoming politicized does not mean losing on the spiritual side. On the contrary, it has deepened my prayer, the informal monological ones at night as well as the communal ones in the light of day. It is very important also to recognize oneself as a part of a worldwide movement, to experience comradeship and solidarity in various contexts, to feel the Spirit grow and ourselves become more rooted in one of the most outspoken branches of the Christian Left. Christians for Socialism is a gift from the Chilean people to world Christianity. Later historians of the church will understand this fact better than we who are in the midst of the journey. I am going to describe here a little more of that journey and talk about the two dilemmas of CFS people I know on both sides of the Atlantic. Then I’ll focus on two relevant political themes in the discussions that go on in the CFS movement. Finally, I’ll offer a theological reflection on being a Christian between resistance and liberation. Christians Without a Church and Socialists Without a Party? The movement of Christians for Socialism originated in Chile during 1972. It was a time of transition towards a new society in which, as most of us sensed, it might be easier to sing the song of permanent and growing liberation. It was a threatening time, too, when international capitalism organized once more against a people’s free democratic movement towards socialism. The difference in the situation for socialist Christians then and for us now is that in Chile, at that time, every Christian who defined himself or herself “for” socialism worked in a political organization–a party, union, or neighborhood organization–and at the same time was a working member of CFS. Many of us in advanced capitalist societies have problems following this discipline. Many of us live in middle-class situations, working as teachers, social workers, housewives, students, employees, or pastors. Our obligation as members of CFS is to serve the interests of the working class, but being born into a different class situation we face the question “how can we take a different class position?” There is no class position without organization. To position oneself means to take a stance within a given class struggle, to answer the question “which side are you on?” But often we don’t see the side clearly enough. We know the side we don’t want to be on, but where is the other one? How is it organized on the shop floor, the workplace, the university, the welfare office, or in the areas where most of us spend more of our time–in the neighborhood, the parents’ association, the local church? Most of the people I know in the movement feel themselves in the dilemma of being Christians without a church and socialists without a party. While we recognize that our displacement must be overcome, nonetheless, to be honest, the feeling of homelessness creeps in, paralyzing us and making us poor single fighters. We may feel guilty about it, but the lack of a strong working class movement in our advanced capitalist societies is a basic fact of life. We may deplore it, and we may recollect the pieces of the movement and cooperate wherever possible. Sometimes we even hope that we may become the agents of change. But first we have to accept the fact of our historical situation. It is not the center from which liberation will come; it comes from the periphery. Christ was not born in the palace of Herod but in the stable. He did not grow up in the center of the Jewish culture among the power elite but in the backwaters of Galilee. The dilemma of being Christians without a church also goes along with another separation of interests within the church itself–between those of us who are working within a church setting or who are planning a church career and those who are not. The interests of the clergy are different from those of the laity, at least among de-churched protestants. In Germany, therefore, we have a good number of left-wing pastors’ organizations. Members of these groups are sometimes crosslisted in CFS, but have their main activities in the clergy organizations. This reflects once more, by the way, the structure of the German protestant church as a pastors’ church. The dilemma of being socialists without a party is shared by wide parts of the unorganized left. But in addition for those in CFS, there are different answers to the question “where is the struggle for the left-wing Christian?” Is it in the local church or in national church organizations? Is it in the schools and universities? Is it with the unions? Are there any grassroots groups and community organizers with whom to work? Because Christians for Socialism has not defined a policy on these questions, there is a certain organizational decentralization that allows each group to define its interests. The question “who is the ally?” is rather open and will be decided in various ways from time to time. This self-description may be too self-critical, but when we look back to the historical origin of Christians for Socialism we see it was based on a strong movement towards socialism in which the church was not seen as the vanguard but a latecomer. Will it be possible to change that? Will there be a time when mentioning the church will not fill us with shame? Is it possible to imagine a church which takes on its historical function in the last 20 years of this century, namely, to work as an advocate for the poor and struggle alongside them? To believe that these things are possible, we need some trust in the changing power of the gospel. Christians for Socialism does not have a specific program and strategy but sides with other groups and initiatives in the movement. While a single-issue orientation can sometimes lead to the dissolution of local groups, one of the last reports on German Christians for Socialism list 26 regional chapters, with 6 to 30 members each, which work on issues in the West German context. These include the anti-nuclear movement, especially the fight against the stance of the National Association of Unions (Deutscher Gewerkschafts Bund) which took a stance for nuclear energy and the question of a “green” (ecologist) listing (candidates and platform) as a possible alternative to the existing three parties. The ecology movement is the strongest mass movement in West germany since the anti-Vietnam demonstrations, but the question remains how to move it from an extra-parliamentary to an inner-parliamentary force. Anti-imperialism and support for the struggles of the third world is another important focus of work, especially in the light of the debate about Adveniat, a Catholic support agency for Latin America with strong anti-communist leanings. There is also an increasing interest in Latin American liberation theology and repressive church politics against it. Two themes of CFS discussion deserve analysis in a little more depth. One of these concerns the question of lifestyle. Whether we like it or not, CFS has to deal with this question, since it becomes more and more relevant inside church groups. Dutch Christians for Socialism published a manifesto on this question as early as 1975. In Germany there are different small groups naming themselves “oukumene,” “third world,” or “simple living” groups, which try to respond to questions coming from third world Christians to us. “Live simply so other folks can simply live.” The discussion starts with some concern about the enormous gap between the poor and the rich, about the waste and exhaustion of resources and raw materials, and about the pollution of air, water, and soil. In this context some church groups, such as the Nederlandic Council of Churches, are proposing a new lifestyle of simpler living, more consciousness about shopping habits, healthier eating, etc. Church people, state spokespersons and industrial leaders are preaching the same message in an agreement that makes us suspicious. Their criticism of the simpler lifestyle movement has a theological perspective, too. They do not believe that the task of Christians is to preach resignation. They see that there is a lot of resignation in the approach of changing one’s personal attitude and behavior towards the system rather than changing the economic system itself. They recognize a hidden lack of belief in the possibilities for real change implicit in the new life-style movement, especially when it lacks any anti-capitalistic analysis. Christians, however, are called not to resignation but to throw off the yoke of slavery in solidarity with others who do the same. One other political focus CFS is facing is the one posed by the complex of the Trilateral Commission, the new political doctrine of National Security, and the role of religion inside of this setup. We feel that we need a better analysis of the plans of the Trilateral Commission to stabilize the given distribution of wealth and the trilateralist interests in “national security” as a new self-definition of the state apparatus. We also expect a new definition of the role of the church and religion as a part of the cultural/state apparatus. The religion needed by a state for which national security is a high priority is a religion that is strictly individualistic. It is, as George Casalis has pointed out, a religion without faith. It has to fill the gap between the artificially produced and, by definition unfulfillable, consumer desires and the frustration about the declining quality of life. Such a religion is used as an important drug against the deep feelings of meaninglessness originating out of people’s increasing understanding that they do not control their own lives. When we look back into the ideological discussion of the fifties and sixties, we find an officially stated irrelevance of religion and questions of meaning; to be free from ideologies seemed to be the scientific attitude then. Religion was seen as dying out in advanced societies. This view of religion has now changed. There is a new “total strategy” in the interest of national security that relies more thoroughly on religion. It is a strategy with four aspects: the economic, the political, the military and the psycho-social sub-strategies. These four aspects of the total strategy are a form of permanent war against international Marxism. The goal of the psycho-social strategy is to test all the ideas and concepts of cultural goals with the measure of their usefulness for the increase of national power based on national security. The strategy aims to select the useful ideas and to spread them while it hinders, at the same time, the spread of dangerous ideas. Religion is very important in the perspective of the ideology of national security because it is an indispensable factor in the psycho-social strategy. In the perspective of national security ideology, these symbols are seen as almost substance-free. They do not have any value in themselves. If it is possible to empty these signs of their substance, they can be used however one likes. Faith does not mean anything; both Voltaire and Nietzsche belong to the Western Christian world. What matters is to make systematic use of the Christian signs as identification symbols. For ideologists of the psychostrategic rearmament, it is not contradiction to place crosses in prison cells where people are tortured. To be religious to them means observing the traditional practices or rites and, for the rest, to believe in private property and individualism. Religion therefore is a significant key to the national security system. It must not be neglected but observed and evaluated. This move of the state apparatus towards “more religion” can be observed even in the most secularized societies. Civil religion is desired these days. The New Spirituality, hailed by church leaders, plays right into the hands of the trilateralists. When I reflect on these political questions and on our individual and group powerlessness in our daily experience, it sometimes seems to me that the proclaimed hope for liberation is too much for us in these times. It cannot be lived out in our generation. There is another possible approach on the part of some of the Christian left which may be labeled “A theology of resistance.” Both concepts, liberation and resistance, are a productive tension politically and theologically. There is no need to decide for only one of them, and when I shift the emphasis a little from a theology of liberation towards a theology of resistance, it is not done with the intention to abandon the liberation camp and its hopes. What does theology of resistance mean? I am thinking of groups like the Center for Creative Non-Violence, of Sojourners, of Jonah House and many others, and of people like William Stringfellow, Jim Douglass and Dan Berrigan in this country. These latter are militant pacifists who, since the time of the Vietnam War, incorporate a radical “NO” to the capitalist murder machine. Their difference with liberation theologians, though, is their lack of hope in any mass movement. No socialist utopia, no real change, is expected by these resisters. Last Spring I taught a class on Christian liberation movements in New York and had Dan Berrigan as a guest speaker. His key theological word, his greatest and only hope, was “Resistance.” He didn’t let himself be touched by our questions about success, about allies, about strategies. When a priest who is working in Chile asked him for an economic-political analysis as a foundation for his actions, he simply replied, “Read the New Testament.” The small groups in which Berrigan works are in the tradition of the Catholic Worker movement. This is a Christian anarchist movement with a characteristic lack of organization. Their life style is simple and follows the simplest rules of the New Testament: poverty, renunciation of career and promotion, radical disobedience, and practical illegality. The relatedness of the members of the group is not in planning and success but in prayer. Many of my students, especially the Latinos in the class, were very critical of this type of theology of resistance. They felt this as too elitist and not marxist enough. The radicality of the resisters, though, moved them deeply. We felt as if we needed this lived-out resistance in order to question our own theology of liberation and its self-certainty. It irritated our belief and trust in our theories. Recently a visitor from Latin America reported a conversation he had with some theologians of liberation over there. After about ten years working in this direction they are now seeing their students and friends disappear into the torture camps. They are asking themselves what is the meaning of faithfulness in a losing battle with many casualties. These are questions I cannot answer, of course, but they seem the most serious ones for Christians today. Theology of liberation does not exclude a theology of resistance. Nor do I want to polarize them. Maybe the emphasis on resistance is only a special case of liberation theology in a frozen situation. The relationship of the two would then resemble the French experience of resistance to the Germans. “La Resistance” since 1940 led to “La Liberation” of 1945. There is not liberation without the subjective experience of resistance–doing what must be done without asking about success. I remember some demonstrations in the early fifties against the German rearmament and integration into the Western Alliance. We were few; we had with us a lot of elderly women in shabby coats who were nicknamed “Friedenstanten” (peace aunts). What I learned in those years was that sometimes one has to do things simply to maintain one’s integrity. We cannot get hold of liberation like a gift for in that case it would lose its freeing character. But isn’t it also true that there is no resistance that is not grounded in hope for liberation? How many ways are there between resistance and liberation? The former state president of West Germany, Gustav Heinemann, told me in the last conversation we had that the only real hope for him was the returning of Christ; the ending of all our provisionalities and our laboring too. Come, Lord Jesus! That was the last gesture we got from this enormously vital and struggling politician who had been an active member of the Confessing Church. Theology of resistance does participate in protestant pessimism and its mistrust in human nature and in the eschatological meaning of history. It manifests a certain opposition towards the theology of liberation and its catholic tradition of cooperation. And so I ask myself: do we need to wait for the returning Christ? And so long as he does not show up, is standing before the Pentagon as fools in Christ and demonstrating non-violently and symbolically the meaning of being Christian today? Is resistance the Christian way? Are we to be reduced to atomized units who eschew any organizational structure? Christ seems, for many groups on the Christian Left in the U.S., to be the Christ who is radically opposed to this culture–Christ counter-culture, as Richard Niebuhr put it. I do not speak for the Christ within culture, a Christ reconciled with this overkill machine we once called culture. But aren’t there some other possibilities between the Christ-within-culture and the Christ counter-culture? Is there a Christ who transforms culture? My old teacher, Ernst Kasemann, told me in a recent conversation that “grace means to have been a resister in a special situation.” Was our language in CFS too shallow when we tried to spell out the great word “liberation?” For us, grace was the experience of liberation on different levels. For me personally, one of the most important biblical words was “the blind recover their sight, the lame walk, the lepers are made clean, the deaf hear, the dead are raised to life, the poor are hearing the good news” (Matthew 5:11). Theology of liberation is an attempt to repeat these experiences. There are people with us today who recovered their sight during the years of the Vietnam War. The miraculous news found in Matthew must not be silenced but handed down. We have to share it with others even as we share bread and wine, and this means to do liberation theology. We need to hear this good news and to see the world through the eyes of Christ. The political option coming out of this news may be resistance: to resist the neutron bomb, to say no to the elimination of jobs by rationalization, no to eating South African oranges, no to banking with those who support racists. I am unable right now to choose between the options of liberation and resistance. We need each other. We need a united front of Christian leftists in this country to fight against a new spiritualized Christ-above-culture who is used to cloak the ruling culture of injustice again and anew. Small wonder, then, that in Italy, whose economy is less advanced, the CFS movement is stronger than the rest of Europe. This is due to the existence of a still powerful catholicism and strong left-wing parties. As in Latin America, conditions exist in Italy for the communidades de base to form more easily than in West Germany, for example. There is a small bimonthly newspaper address: Buro der Christen fur den Sozialismus, Karkl Grunewald, Hambruger Strasse 40, 4400 Munster. As quoted in Diffusion de l’Information sur Amerique Latine (DIAL), Paris, No. 298, April 15, 1976. *From Radical Religion (4:3-4), 1979, 16-21.